The real lesson we should take from America’s greatest philosopher. These quotes reflect his most lasting legacy: planting the uniquely American seeds of self-reliance and individualism. Yet in both his words and in his actions, Emerson wasn’t especially self-reliant, at least not in the way we’ve come to think of it. In fact, if Emerson could see what has blossomed from the seeds he had sown, he would likely recoil at the Venus Fly Trap like monstrosity that has grown in his wake the last two centuries. Emerson’s call to be more self-reliant was a plea to become independent, critical thinkers. Not to expect that each man is an island to himself. The importance of becoming self-reliant was not just for personal fulfillment but also for the greater community good. Yet today, we romanticize individual effort at the expense of everything else that complements it. Self-reliance vs. greater social good has become a false choice that has crippled our political system and efforts to increase social mobility for generations. In Emerson’s own life, he had both challenges that required resilience and self-reliance, like the passing of his father at the age of eight or losing his first wife and son to premature deaths. A fire later in life also felled his home. At the same time, his father was educated, an aunt become an early protector. He attended the first public school in our country (Boston Latin) and went on to Harvard Divinity School, despite limited means. He frequently visited and advocated for the expansion of public libraries. When his house burnt down, it was the donations and support of friends and strangers alike that helped rebuild it. And of course, he was fortunate to have been born a white male during the time when minorities of all kinds were marginalized and not afforded equal rights. 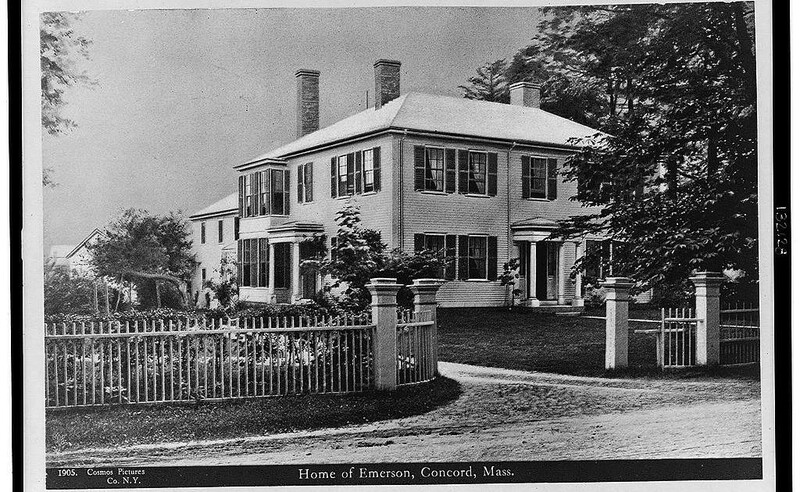 As fate would have it, he moved to Concord, Massachusetts surrounded by thinkers who would stimulate and build off his ideas such as Henry David Thoreau, Bronson and Louisa May Alcott, Nathanial Hawthorne and others. Each of us has a ledger in life keeping the balance of the things that helped or hindered our own individual effort. Yet one side seems to be written in bold ink while the other has faded with the sun. With the support of the Ford Foundation and WNET, America’s Flagship Public Television station, we recently launched Your American Dream Score. This five-minute online quiz will help anyone see which of thirteen factors were likely working for or against them. It is an attempt to put self-reliance and individual effort in their proper context. Our hard work makes success possible, but not necessarily probable. In using Emerson’s biographical information to complete the quiz, his American Dream Score was 60/100, showing that he himself had far more factors working in his favor versus those he had to overcome. Does this sound like the father of self-reliance?